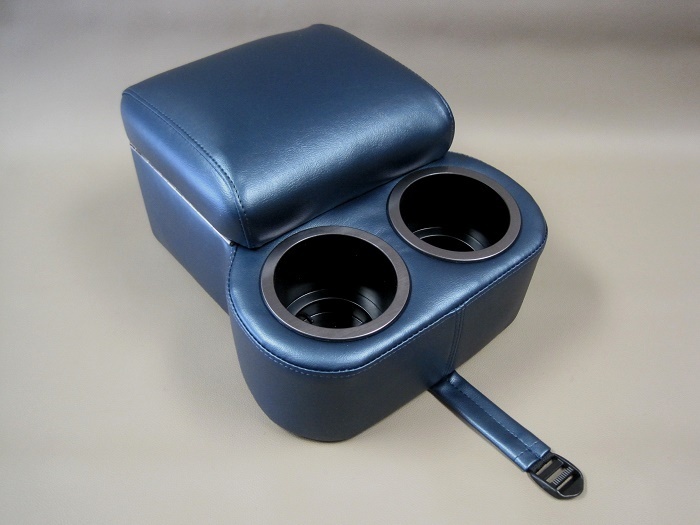 Check out the new Shortie Seat Console with armrest and cup holders. You will most certainly enjoy having a comfortable place to rest your arm and reduce driver fatigue. 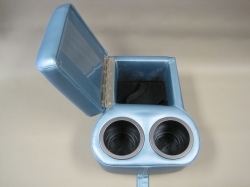 It features a stubby profile that makes it ideal for floor shift or stick shift vehicles. 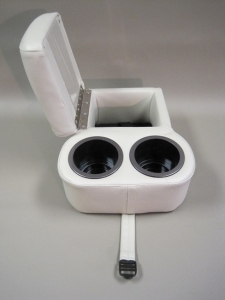 This Seat Console is completely upholstered with automotive grade vinyl and fully padded. 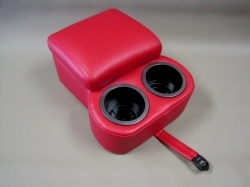 It features a left side opening flip up armrest for storage and two cup holders. A strap snugs it to the lower cushion. It is a nice addition to any vehicle. The color chart is shown in the photo for general reference. It is very difficult to determine color shades via computer. Color samples are available upon request, and we highly suggest getting color samples if you are unsure of what color you need. The 233 Graphite color works well for Toyota Tacoma vehicles with gray interiors. Note: This is a custom order product and may take up to 5-10 days longer to ship. Custom orders may not be returned, so please request color samples before you purchase!